With the year drawing close to the end, we can still look forward to a many remarkable shows and events in the final days of Autumn. 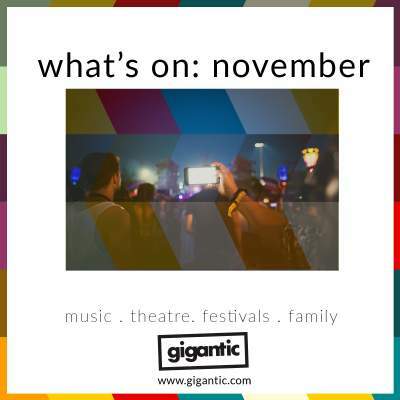 Gigantic has tickets for all your favourite bands and artists, so we take a look at all that November has to offer! Following divorce, drug addiction and departures of band mates, Sheffield's metalcore heroes Bring Me The Horizon are back with their brand new album 'Amo' which sees them reflect on their experiences to find what is core to their lives, discovering that it is love. Having just dropped second single ‘wonderful life’ which sees them team up with Cradle Of Filth singer Dani Filth, the South Yorkshire squad are ready to show off more new material at their arena tour which starts towards the end of the month. Bring Me The Horizon tickets are currently available. Leading the way for modern American blues, Seasick Steve uses a wide variety of odd and original instruments to create his own very unique take on the genre to match his huge personality. You can share in the love when he plays New Theatre at Oxford, Brighton Dome and Cardiff Motorpoint Arena later this month. Seasick Steve tickets are currently available. Described by BBC Introducing as "Raucous, rapturous and rowdy", 94 Gunships are the need to know alternative blues rock band coming out of Nottingham right now. Their latest release is their roller-coaster EP ‘Tooth Rattle’ which is released by independent label I’m Not From London with cover art from rising illustrator Amanda Wright (@amandainateacup). They play a highly anticipated hometown show at Rescue Rooms on Friday 30th of November where they will be supported by Revenge Of Calculon plus Soft Girls And Boys Club. 94 Gunships tickets are currently available. Who We Be is the world’s biggest celebration of hip hop, grime and R&B featuring the very best talent from the UK and all across the globe. The unrivalled line-up includes performances from Craig David, Chip, AJ Tracey, French Montanah, Tory Lanez, Ghetts, Not3s, NSG, Raye and Lethal Bizzle. The spectacular event is organised by premier music streaming service Spotify, and Austin Daboh (Head of Shows and Editorial) had this to say; "We're really excited about returning to Alexandra Palace for the second instalment of 'Who We Be Live'. The line-up represents the very best of both national and international artists, and we are thrilled to be bringing a stellar line-up of artists together for this event." To truly understand just how big this is, all the acts playing combine one billion played streams in the UK. Get your ticket for Who We Be at Alexandra Palace in London on Wednesday 28th of November before they all sell out. Who We Be tickets are currently available. Combing elements of psyche, garage and even post punk, The Wytches have grown to become one of the most invigorating British bands of the new generation. The past four years have seen the release of their stunning debut album ‘Annabel Dream Reader’ which was co-produced by The Coral’s Bill Ryder-Jones and essential follow up LP ‘All Your Happy Life’. Now the Brighton based band are back with their brand-new night Crest Of Death which takes place at Green Store Door in their hometown on Thursday 8th of November. Not only will you be able to see The Wytches in all their terrifying glory plus support, there will be DJ sets from Rhys Webb of The Horrors and Laura Mary Carter of Blood Red Shoes. The Wytches tickets are currently available. Formed in Detroit during the mid-60’s in a fit of rage to become a central pillar of the counter culture; MC5 fused garage rock, funk and psychedelia with anti-establishment politics, leftist ideology and demands for racial equality. Often credited as being the first proto punk band, MC5 terrified conservatives whilst thrilling audiences with their electrifying performances to become the true sound of revolution. 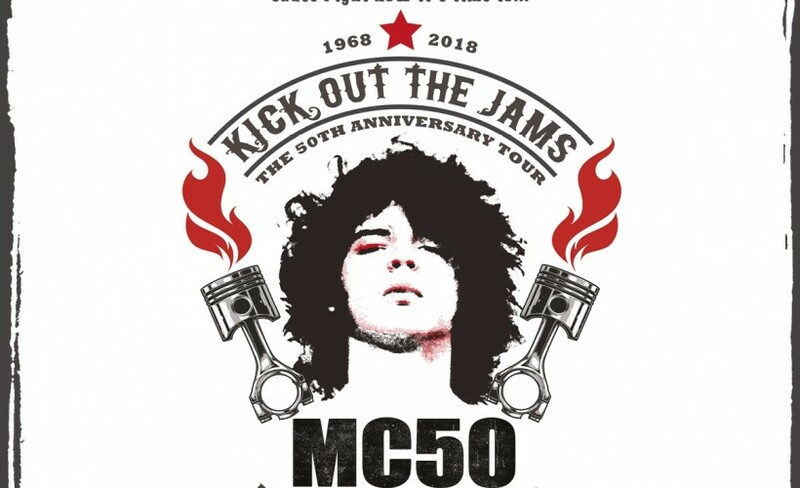 MC50 tickets are currently available. Virginian indie rockers Car Seat Headrest have become the choice band for the discerning listener, having developed a massive cult following which seemingly knows no borders with fans appearing all over the world. Their never ceasing rise has been accelerated by the release of their eleventh album ‘Twin Fantasy (Face To Face)’ early in the year which once again revealed songwriter and band’s singer Will Toledo’s uncanny ability to write music about his own life which is somehow universally understood and felt by all. They begin their UK tour next week to show off album ‘Twin Fantasy (Face To Face)’ plus play material from the whole of their career. Car Seat Headrest tickets are currently available.